As I have written before, the new moons are often associated with new beginnings. It is a great time to think about the things you want to bring into your life. The things you want to focus on. 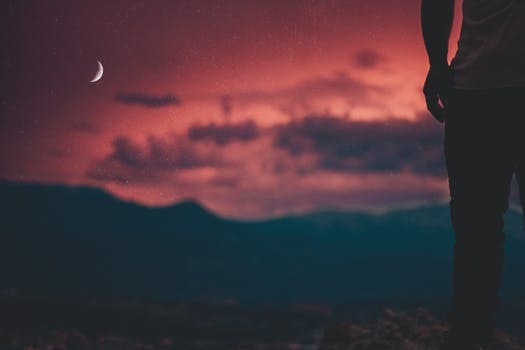 In this particular New Moon in Libra, there is a focus on relationships (I am sure you have been reading about Venus going retrograde). How are you showing in relationships? And most importantly, how have you been showing up in your relationship with yourself? This of course is the most important relationship of all. There are less than 3 months left in the year, how have you been showing up for what you want? What are the things you said you wanted at the beginning of the year and have yet to make happen? Have you been able to take steps towards it? Are there areas where you are being dishonest with yourself? Are you allowing your fears and doubts getting in the way of creating what you want? Is the voice of your fears louder than the voice of your trust? We can often get caught up in that idea that we can’t do the thing that we want. Others can have it, but we can’t. It can feel impossible to live the life of our dreams. 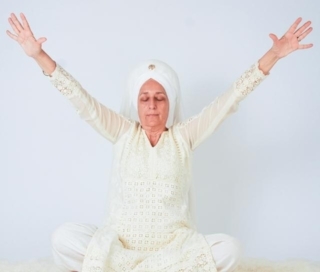 With the power of the New Moon, I am going to do the Kundalini Meditation Gan Puttee Kriya: The Kriya to Make the Impossible Possible. I would love for you to join me. 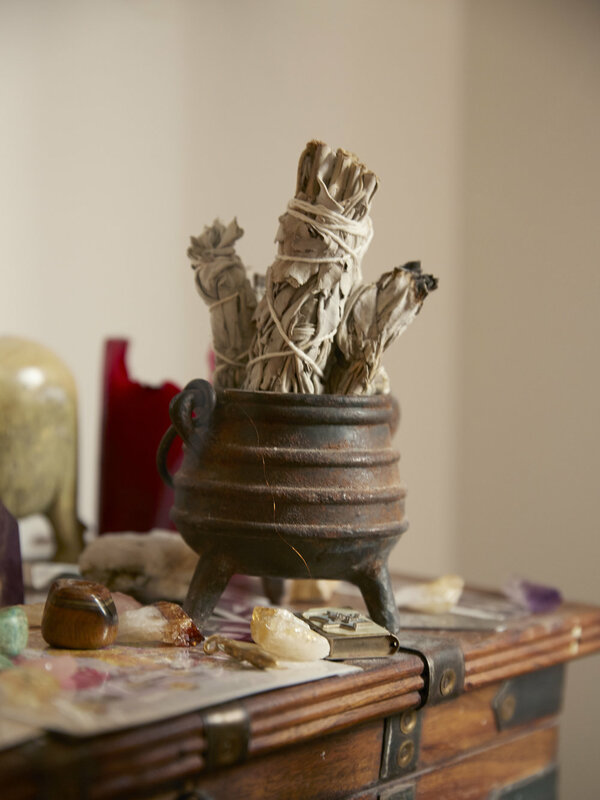 With your crystals, candle and incense lit, start journaling, while listen to the Play List . Take your time. Reflect. Think about what has been standing in your way, and see yourself moving it. Then start focusing on all that you want to bring in. You can do this is any way that feels comfortable. This can be lists, descriptions, anything that gets you into the feeling of what you want to bring forth. Get excited about all that is coming. When you are done, take out your Palo Santo or Sage and start cleansing yourself and your crystals. I start with myself and the move onto my crystals, and then back to myself. Starting at my feet and swirling in the smoke. Releasing what isn’t needed and soaking up all the energy that is supporting my growth for the next few months. . It will have 3 different Mantras. 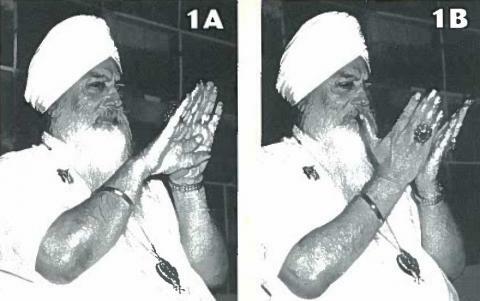 The first two are explained below and the final will be part of the Kundalini Meditation. This devotional mantra (a Bhakti mantra), invokes the primary Creative Power which is manifest as the feminine. It calls upon the Mother Power. It will help you to be free of the insecurities which block freedom of action. By meditating on it one can obtain a deeper understanding of the constant interplay between the manifest and the unmanifest qualities of the cosmos and consciousness. I bow to the all Encompassing Power and Energy. I bow to that through which God creates. 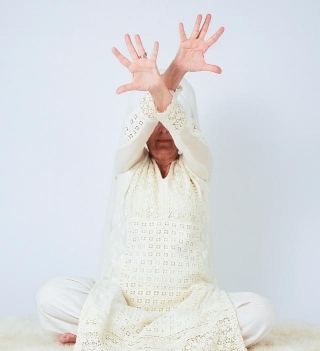 I bow to the creative power of the kundalini, the Divine Mother Power. Gan Puttee Kriya will redeem all the negativity of the past and present. It will take away all negative karma of your past, smooth out your day to day problems and create a positive tomorrow. Posture: Sit like a yogi in easy pose with a straight spine. The backs of your hands are resting on your knees with the palms upward. Eyes: The eyes are nine-tenths dosed. Time: Start with 11 minutes and slowly work up to 31 minutes practice time. To finish: Inhale and hold the breath for 20-30 seconds while you move every part of your body. Exhale. Repeat this sequence two more times to circulate the prana to every part of the body. This is for self-healing. 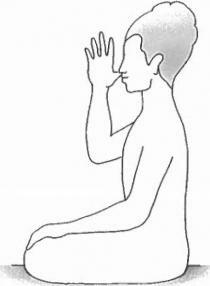 Sit in absolute calmness and concentrate on the tip of your nose. Continue for 1 minute. This meditation is available in the manual Self Knowledge, p.20, through KRI. When I am done, I place my crystals out in the moon light. I like to let my crystals sit out for a minimum of 24 hours…When you take them back in, they will have the power of your intentions.